Why am I waiting? 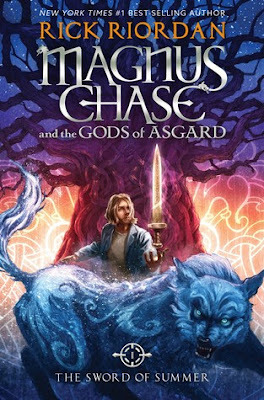 I've always been a Rick Riordan fan. Add some mythology and I'm in! Love that cover too. I'm confused, because he acts like he knows me. But we've never met. Why am I waiting? Well. I actually JUST found this book on Goodreads, and after reading that synopsis... color me intrigued. I think this one will be a fun reading experience, and I am honestly so curious about how this story will go. It's on my mind now! I need it in my hands! A book about mythology in modern times- I am so there! Surrender looks interesting. OOh nice picks! Seeing Rick's around a lot lately! Hope you both enjoy your read once you get it! I cannot wait for the new Riordan book! Awesome picks! I can't decide on the new Riordan book. I didn't like the first Kane Chronicle book and never read on. I loved Percy Jackson, but had trouble getting in the Heroes of Olympus. I just love the idea of this new mythology though. Great picks! Both of these are new to me. Hope you enjoy ladies! Both of these sound good. Surrender has definitely caught my attention. Magnus Chase sounds so good!! I love all origins of mythology and you really don't see a lot of book based on the Norse aspect. I have only read his series that centers around Greek mythology and it was very well done, in my opinion.